I have been wanting to make a quilt with teapots for a long time, and finally got around to making it. Although smaller than the one on the pattern (which I cannot mention because it is PACKED for the move! Dang it!!! I promise to update this post as soon as we settle in), I think it turned out nice. 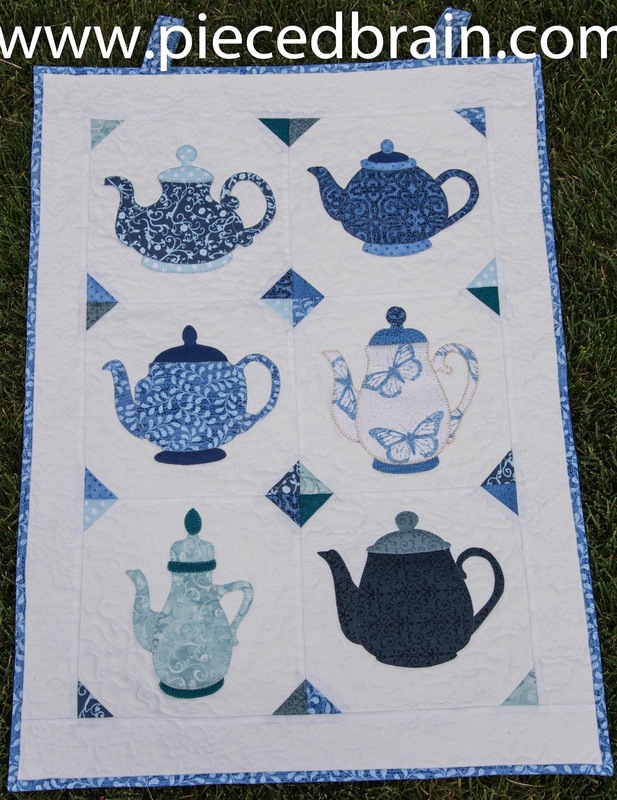 This quilt reminds me of my grandmother, and I will call it "Grandma's Cupboard". I doodle-quilted it with Signature white thread on the background, and made flowers on the border. 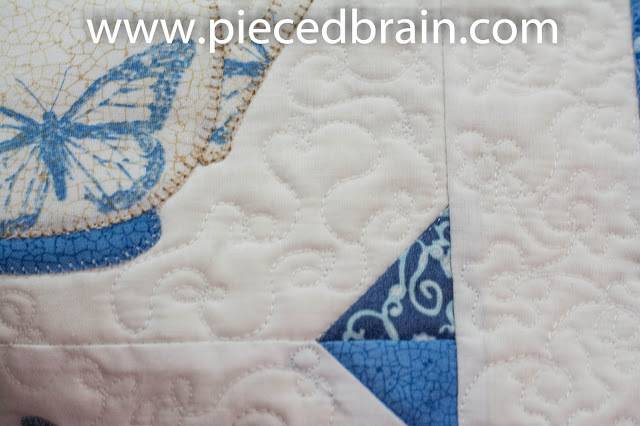 Fun and relaxing quilting, no marking. Wall hangings are really all I have had time for lately. While I am traveling I will post more book reviews, which I hope will help you as you decide which ones to acquire for your quilting library this Summer. Beautiful Denise, especially love the blue and white colors. Gorgeous! Reminds me of the Blue Willow china.